Photo credit: Destination NSW. Visit http://visitNSW.com for more information. Sydney is known for its food and coffee culture, but it’s also a top shopping destination brimming with luxury international brands, local artisan finds, and standout Aussie fashion. Here is the list of five shopping spots in Sydney, where shoppers can head to for ideas on early Christmas shopping – with a range of types of gifts and bargains to look out for. 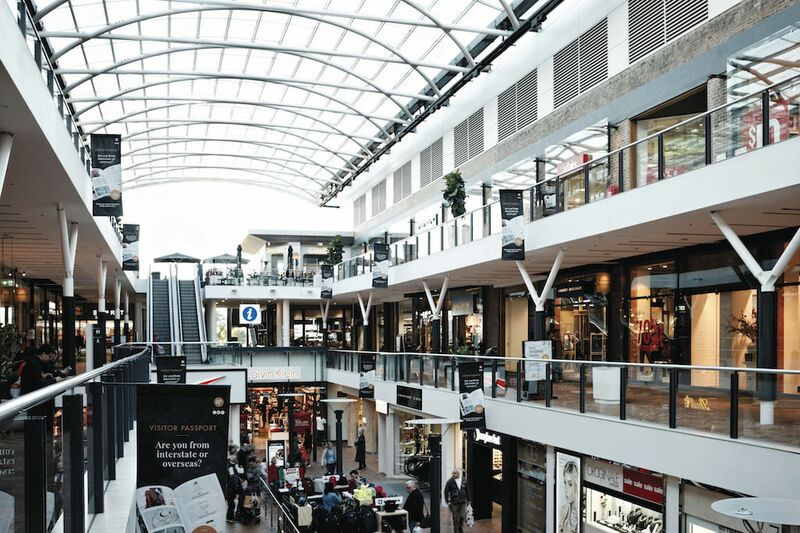 Sydney’s answer to Los Angeles premium shopping outlets, Birkenhead Point has a classic, shopping mall feel with loads of top brands under one roof, plus a free nanny service, Visitor Passport, bus tour drop offs and a direct ferry service. The Shopper Hopper ferry is a great way to see the harbor and get to Birkenhead— jump on board for the 20-minute journey to Sydney’s largest outlet center for $13 one-way or $22 return. Once inside, domestic or international travelers can present their ID to the customer service desk to receive a complimentary Visitor Passport with over 35 discount offers. There are lots of bargains to explore from luxury goods, fitness gear, shoes, and children’s clothing. When you are all shopped out, soak up the views and enjoy crispy squid with soft polenta, tomato, and herbs with a glass of bubbles at Café Birkenhead. Take home earrings from Australian accessories brand, Mimco; a Baku bikini; simple separates from Seed Heritage and a suit from Cue. The well-heeled precinct of Mosman on Sydney’s north shore has a bustling village feel with many sophisticated multi-concept retailers. The pretty streets are lined with cafes, florists and beautiful boutiques. 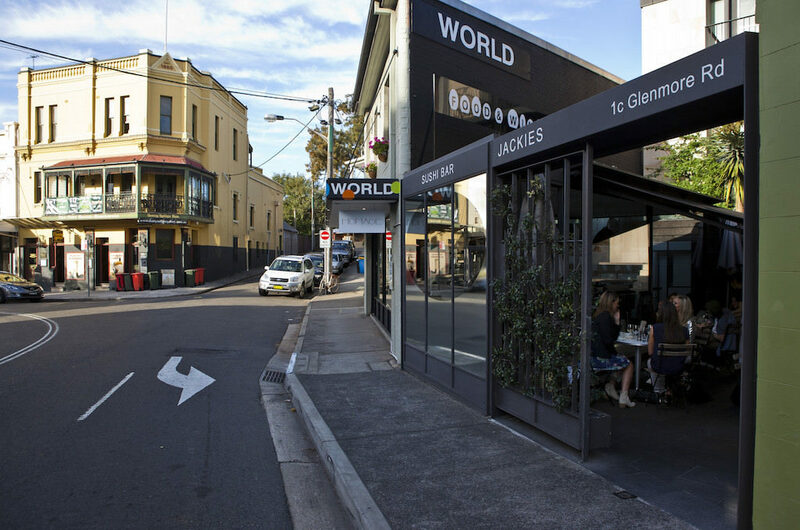 Stop to fuel up at The Mews, tucked into a laneway in Mosman Square. Try the Poke Bowl and a Green Peace Smoothie with kale and coconut water. For a heavenly browse head to Fox and Dove—they stock stylish sunglasses, delicate blouses, Zulu and Zephyr swimwear, and Organised Life Zodiac notebooks. 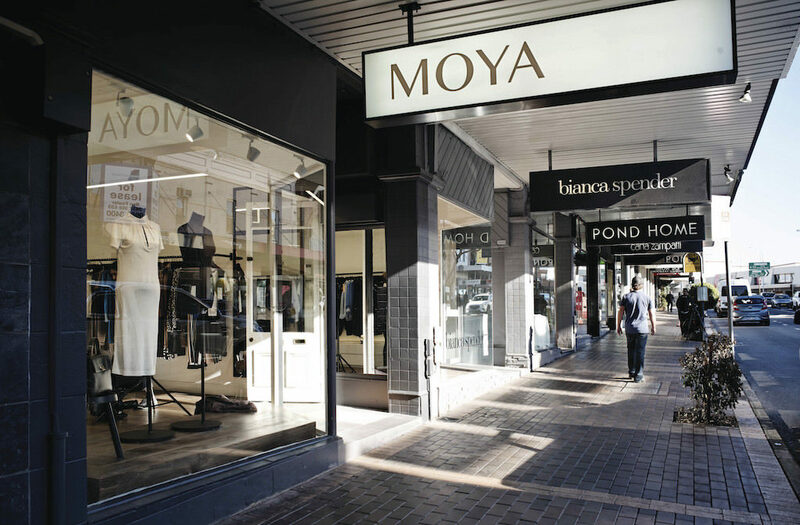 Newly opened Moya has a carefully curated collection of Equipment shirts, AG Jeans and Max Mara—let owner Fran help you style an ensemble. Don’t miss the liberty print slips at Flannel and head to Chowder Bay’s Hamptons-style wine bar and homewares, East Coast Lounge, for ocean views and nautical treasures. With luxury shopping at The Star Casino and unique retailers popping up around Union Street, innercity village Pyrmont is having something of a shopping renaissance. The luxe arcade in The Star has high-end brands Bottega Veneta, Chanel, Gucci, Moda Emporio along with G-Star Raw and IM Lingerie. For unique finds, Urban Oasis has cute gifts such as S ’ Well water bottles and quirky stationery, while St Frock is popular for its Aussie-designed, floral-print midi dresses. For lunch, head to The Star ’s top eateries—sample Asian street food at Fat Noodle, a burger at Fuel or coffee from Antidote. Later peruse the bookshelves and sip a martini at Edition BookBar—a unique fusion of brews and books in Harris Street. Take home shoes from Moda Emporio; a frock from St Frock; lipstick from Chanel and denim from GStar Raw. The Intersection is the tree-lined point where Glenmore Road meets Oxford Street, Paddington. The Chic enclave is the home of high-end Australian designer boutiques; niche art galleries and hole-in-the-wall cafes. Start at Jackie’s Café with a lazy sunlit brunch in their leafy courtyard— their greenhouse-style bar opens in Spring for cocktails. Head to Lee Mathews for sophisticated blouses, skirts, and dresses; stop by Mecca Maxima for global Cosmetic finds then browse the feminine Aussie designs of Ginger & Smart, Alice McCall, and Zimmermann. Pick up a cashmere-blend shawl from Jac+Jack, a standout accessory from Sass and Bide, then enjoy a vegan coffee with almond milk at Orchard Street, or a crisp rosé at historic Village Inn, which gives a birds-eye view ofThe Intersection. Walk further up Oxford Street and explore its growing collection of homewares stores such as Canvas Home Interiors and Matt Blatt, then stop and refresh with fabulous eats at Fred’s, The Paddington, Saint Peter and many more. 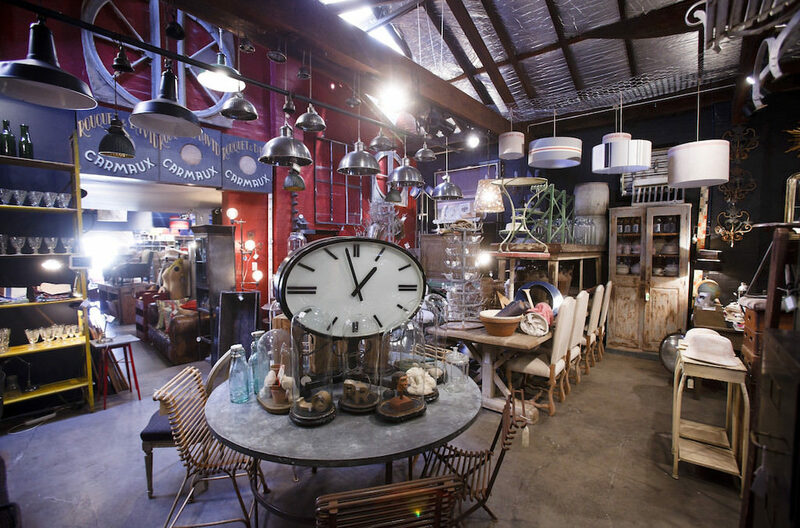 In this vibrant inner-city suburb of working-class origins, you ’ll find one-off vintage finds and seriously cool collectibles. Start with a taste of Surry Hills at ethical Kawa Café with a Chai Latte and Generous ‘Best Breakfast’. Close by you’ll find some of the best vintage clothing in Sydney. Zoo Emporium is a treasure trove of vintage dresses and accessories throughout the eras, from 1920s art deco sequined numbers to faux-furc apes, 1940s suits and delicate jewelry. Cream on Crown is a busy secondhand den overflowing with seventies shirts, vintage denim, and coats. Across the road is Oscar and Friends Booksellers, with an interesting collection of non-fiction novels, teen tales, and sweet gift cards. For lunch, have a healthy buffet at About Life or settle into The Winery for their signature ‘Picnic’, $45pp and a glass of Bilpinapple cider. Take home a sequinned cape from Zoo Emporium; cowboy boots from Cream on Crown; fringed earrings from Collector Store and a French deck chair from Ici Et La.